Create the spookiest house in your neighbourhood. Add visual effects to your home with projectors and lighting. Find different styles of décor to dress up your home. 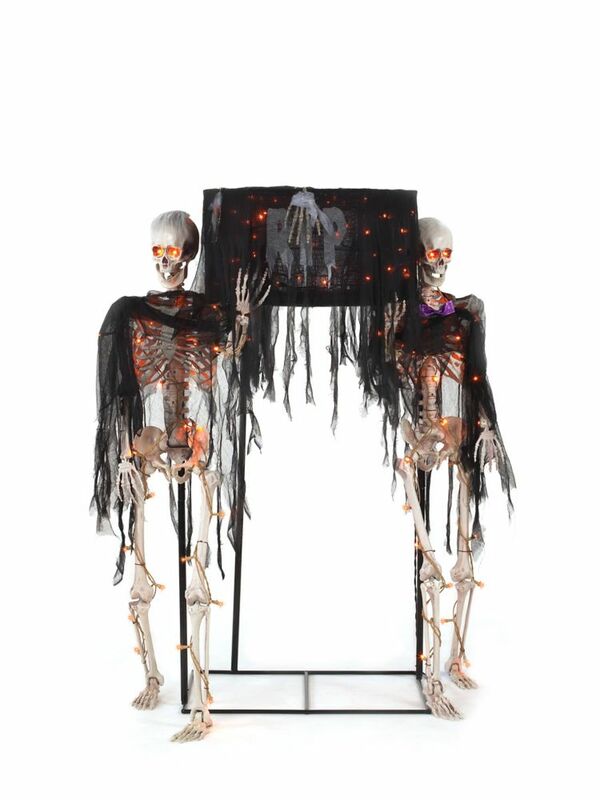 Everyone in your neighborhood is sure to visit your home for trick-or-treat when you transform your home with festive Halloween decorations from The Home Depot. With this incredible selection of products, you can have your home dripping in spooky or festive props at a price that fits within your seasonal design budget. If you are competing for the most ghoulish house on the block, you will need plenty of outdoor Halloween decorations. Halloween inflatables are the foundation for most exterior design. They are large in scale and are easy to inflate in minutes, making them an instant focal point. 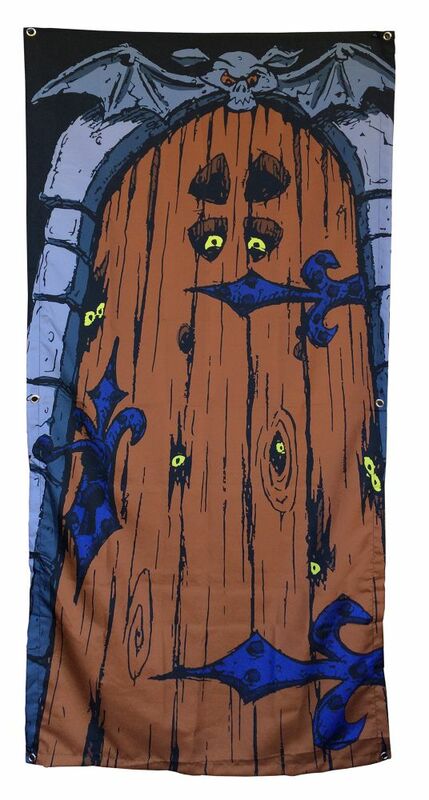 You want all the trick-or-treaters to approach with apprehension so select Halloween door decorations sure to insight fear in the young and old. Make sure to stock up on any extension cords needed to keep your decorations operating all season long. 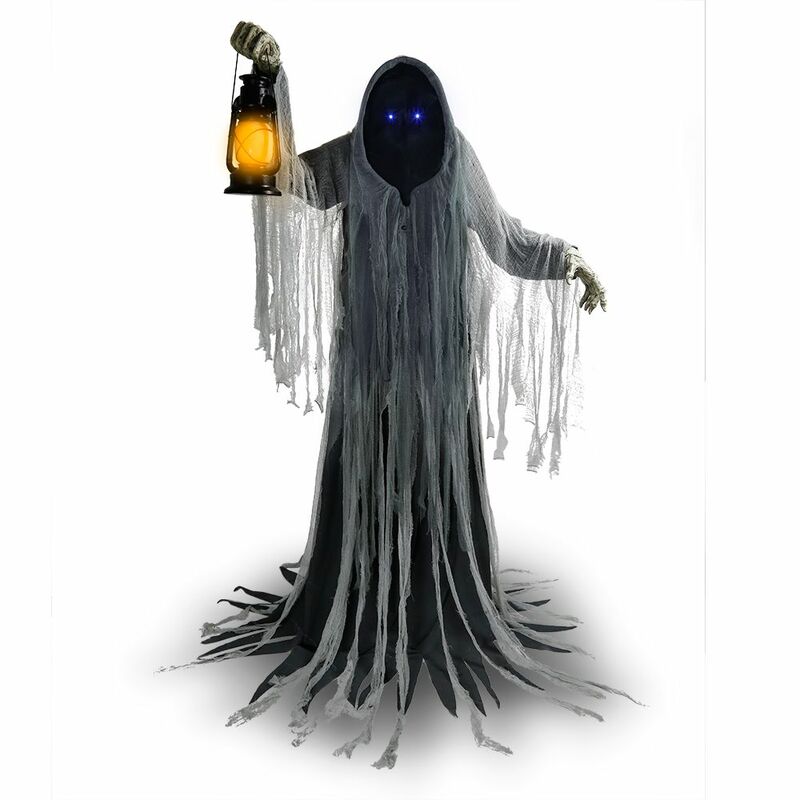 Projectors and window props create a haunted look both inside and outside your home. Plan the ultimate Halloween party by decorating your space with an array of Halloween lights, props, and functional accents. A large cauldron makes a great way to present handfuls of candies to everyone gracing your doorway. Spooky tableware provides the backdrop for a thematic meal. Of course, no home would be complete without plenty of spider webs and perhaps a Halloween skeleton or two. Vinyl decals can be used to create a selfie backdrop to commemorate your hosted event. With so many adorable, traditional, and downright terrifying Halloween decorations to choose from, it is easy to find ones that will enhance your growing collection. Purchase a few new pieces every year to take your home to the next level. Between seasons, keep your pieces organized and protected inside large storage bins and they will be ready for the following year.